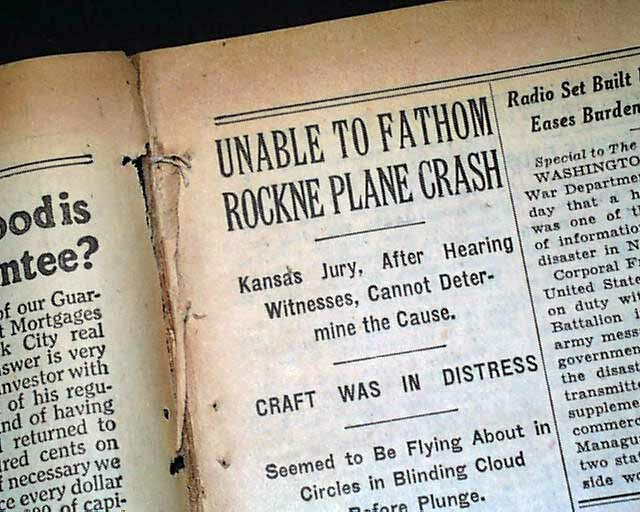 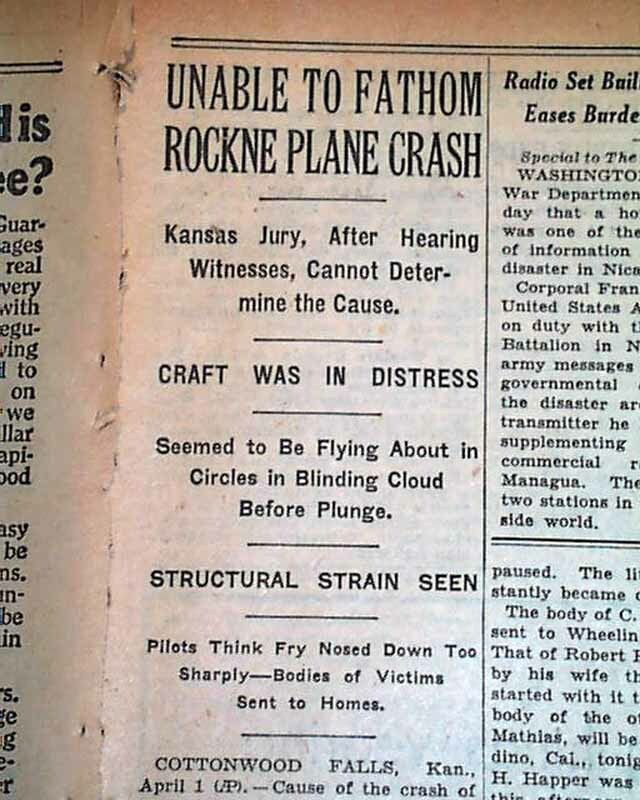 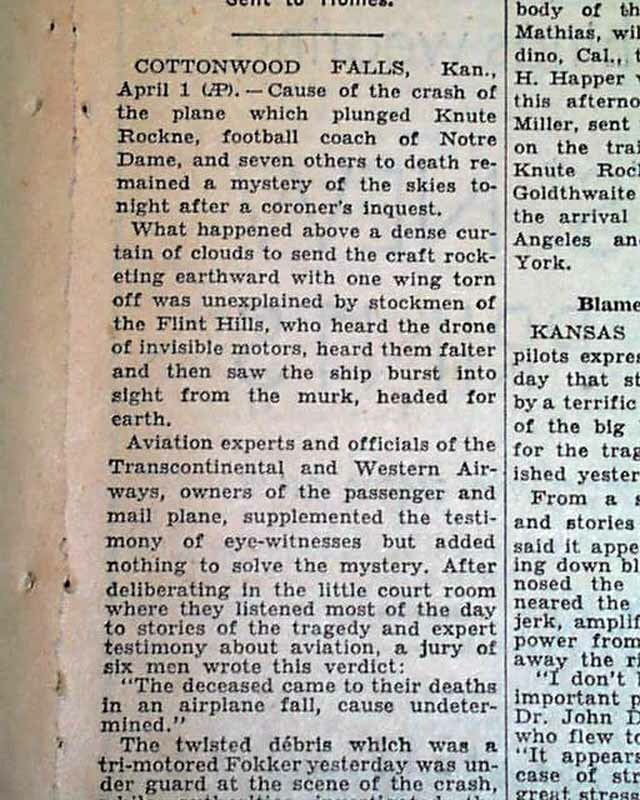 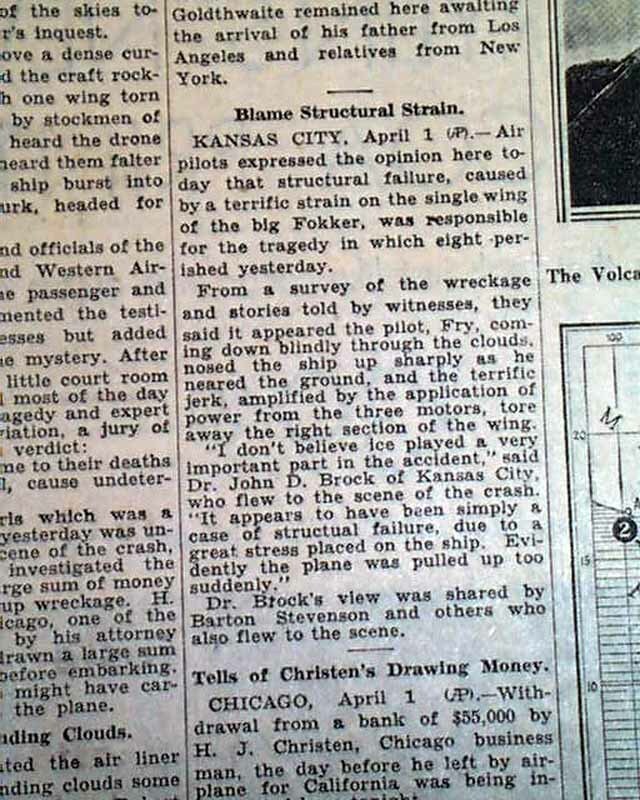 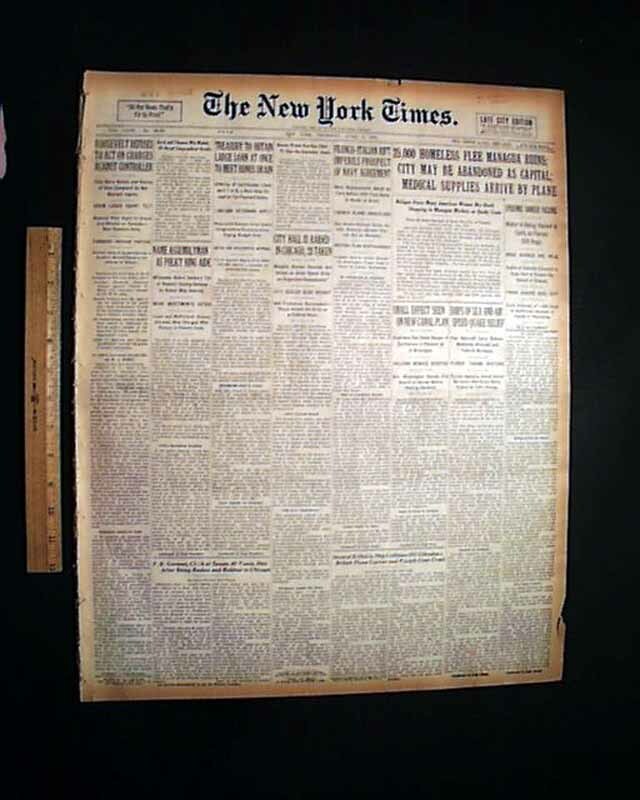 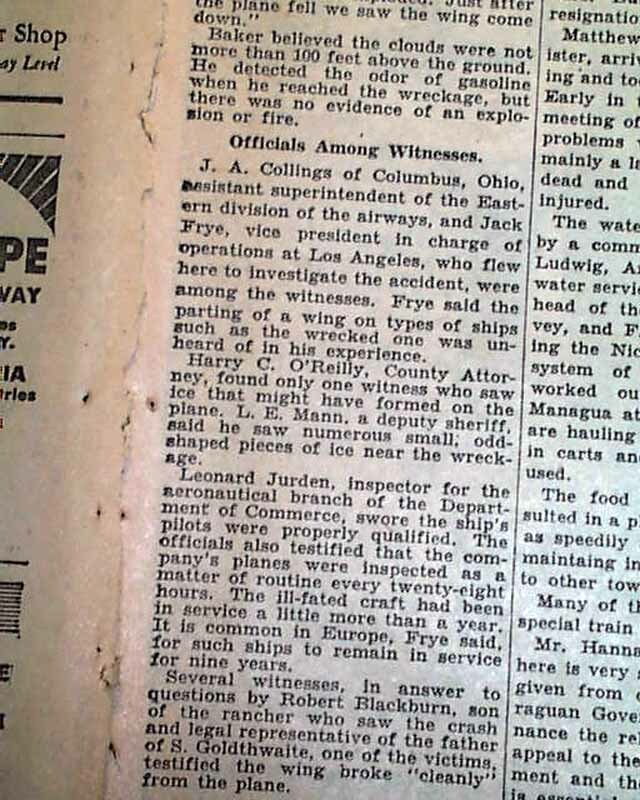 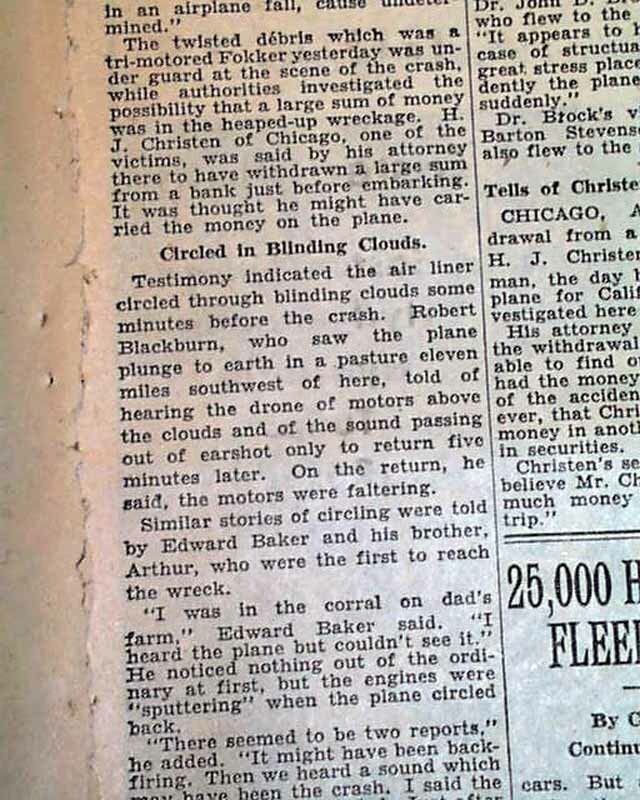 Page 3 begins with column heads: "UNABLE TO FATHOM ROCKNE PLANE CRASH" "Craft was In Distress" "Structural Strain Seen" and more (see). 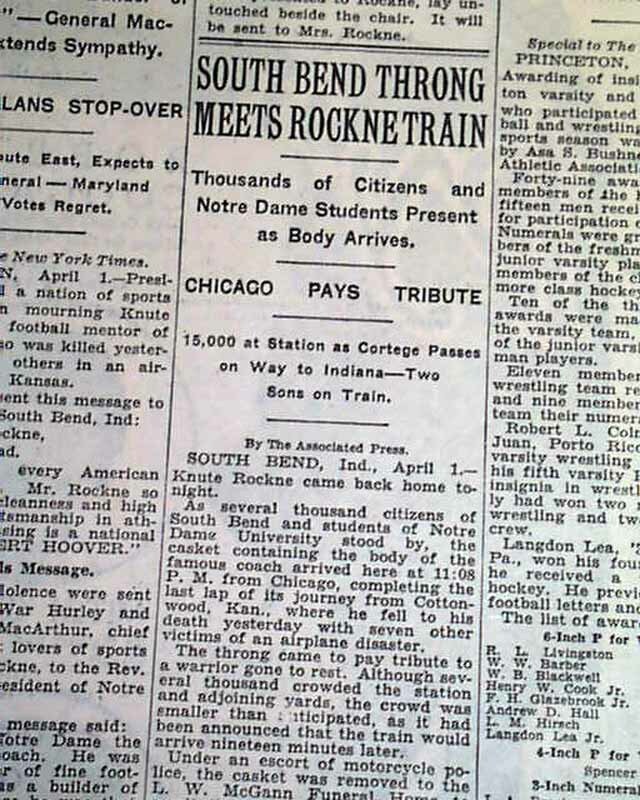 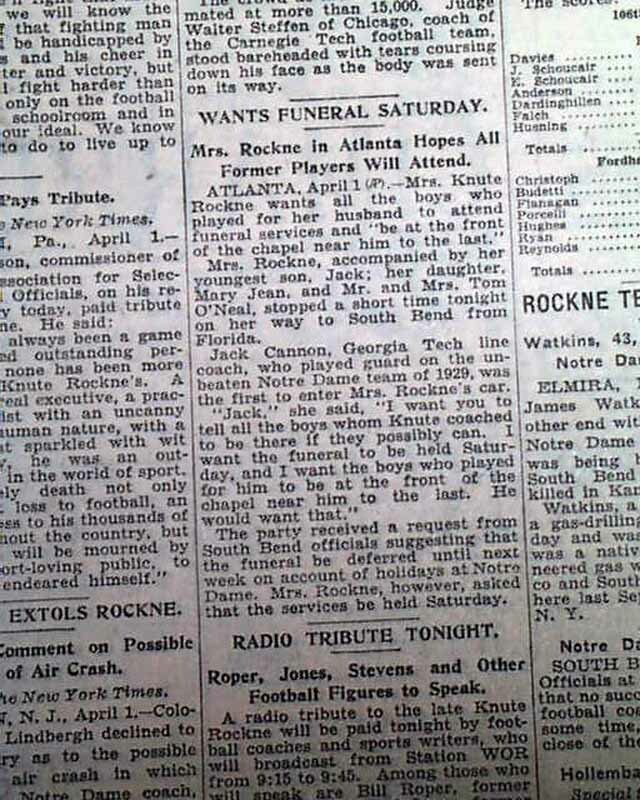 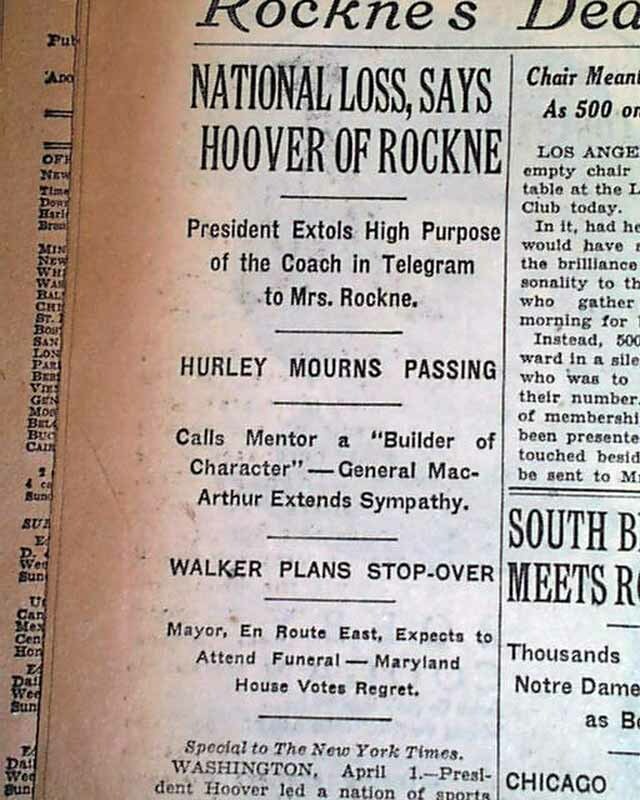 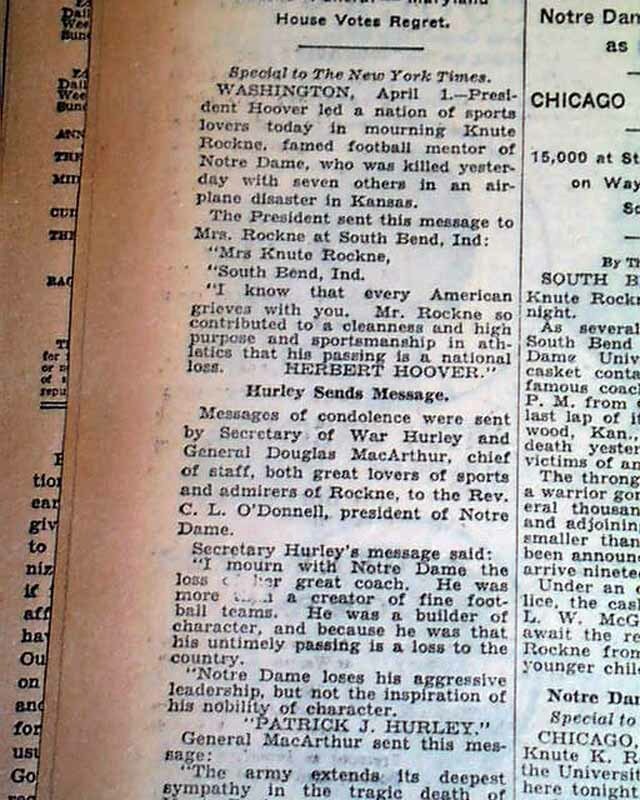 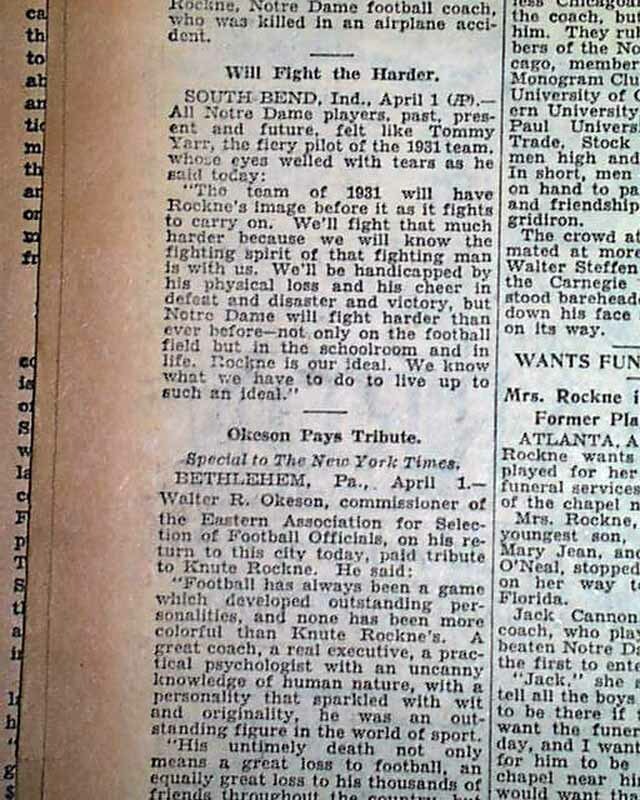 The sports section has a banner headline: "Rockne's Death Described As National Loss in Tribute by President Hoover with many related subheads. 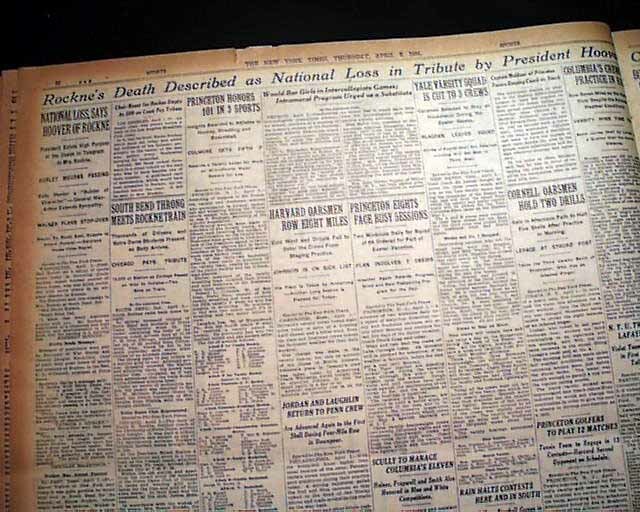 Complete in 56 pages, some browning near the margins, a little margin chipping, generally in good condition.